Hi beauties, hope November was good to you! Today I share with you what I've been loving in the month of November so I hope you enjoy the read! As the weather warms up, my skin requires some oil control and the Seaweed Mattifying Day Cream does just that! It's a lovely lightweight day time moisturiser. It still provides hydration to the skin so it's not at all drying for a mattifying product. I'd recommend the seaweed range for oily/combination skin types. This shade will look absolutely stunning on brown eyes. 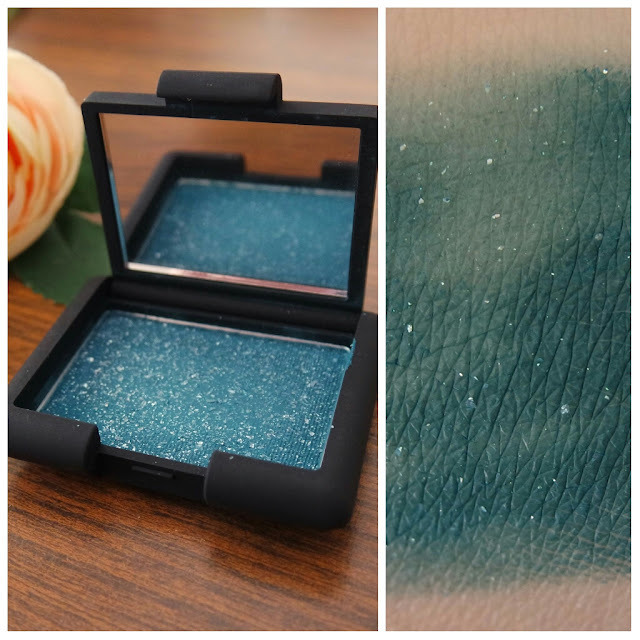 It's a beautiful blue eyeshadow with speckles of glitter throughout. Richly pigmented so be careful upon application. I've found the best method to apply it is with a dabbing motion of your eyeshadow brush. I'd definitely recommend using an eyelid primer of your choice beforehand to help bring out the true vibrancy of this shade and it would also keep it in place all night long. This is such a cult classic in the beauty world! Great for setting your makeup or for adding some extra coverage. Contains Eucalyptus and Clove essential oils to treat breakouts whilst assisting in the prevention of further imperfections. Perfect for oily, sensitive or problematic skin. If you don't already own this powder, I suggest picking one up because it's an inexpensive, good quality pressed powder! I'm a big fan of the Revlon's Color Stay Gel Envy range so I thought I'd give the Super Stay 7 Days a try. I must say, I'm very impressed! The formula isn't too thick or too thin, it's just right and it glides over the nails giving you a streak-free finish. It also dries fairly quickly which is great. Paired with Crystal Clear, it really does last 7 days. I like to touch up during the week by applying a second coat of Crystal Clear so my manicure lasts over 7 days. The packaging of this palette just caught my eye and the shades themselves are so lovely. Especially for this holiday season. You get 8 eye shadows in total; 4 mattes and 4 shimmers. Chantilly Lace and Crystal Ball would make a stunning pair for a Christmas makeup look! 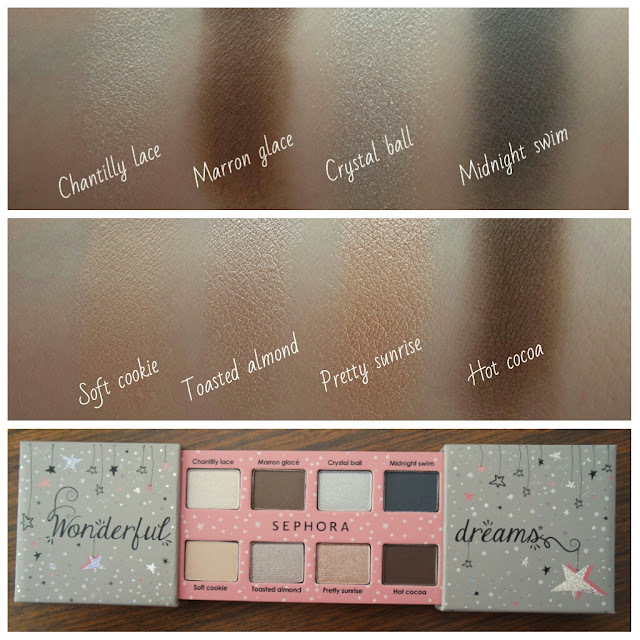 This palette would also make a great gift for any makeup lover this Christmas. That concludes my November favourites. If you have any questions or comments, just leave one down below!